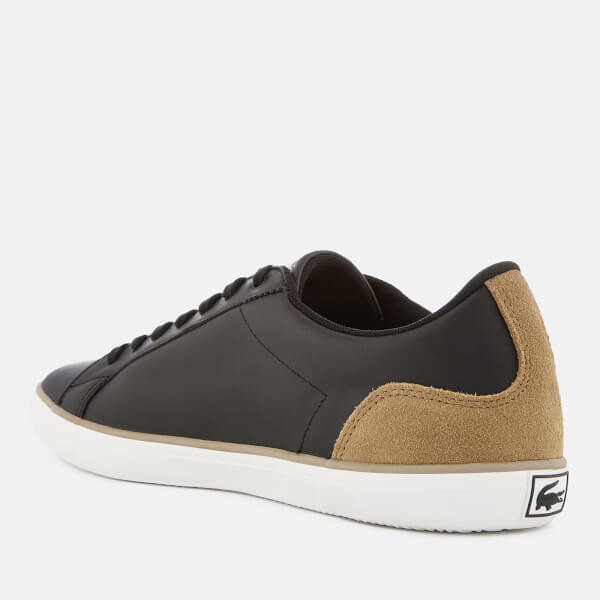 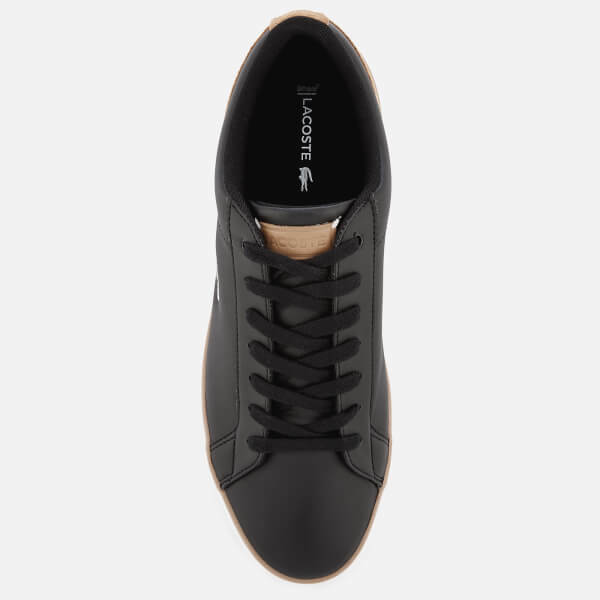 Men’s ‘Lerond’ black leather trainers from Lacoste. 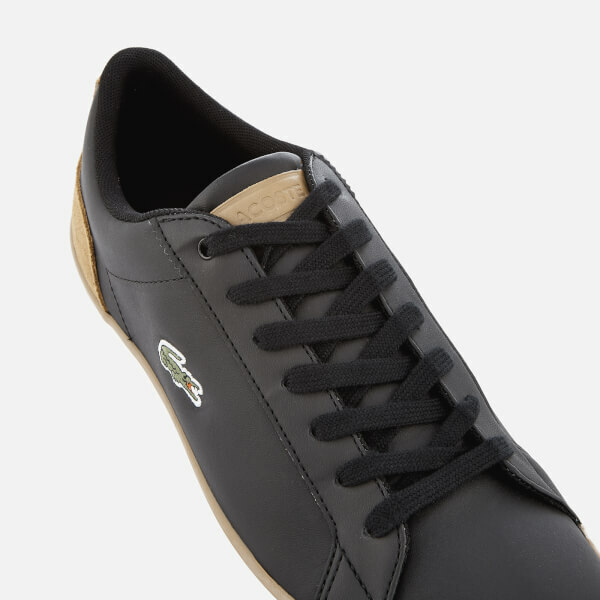 Inspired by Lacoste’s rich tennis heritage, the low top trainers are crafted with smooth nappa leather uppers. 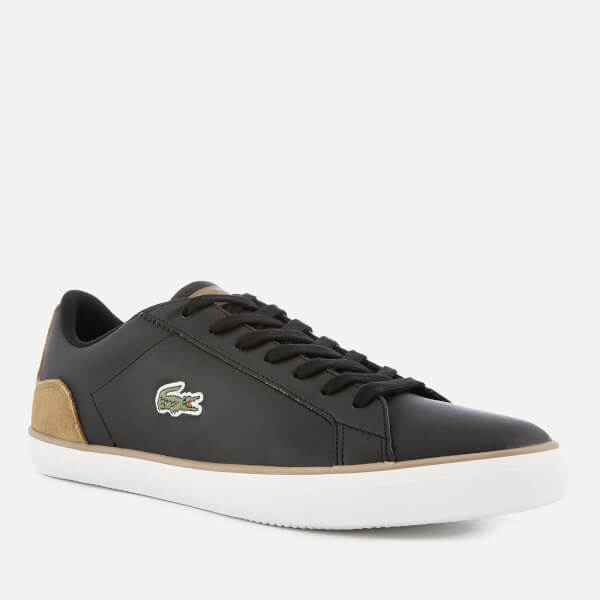 The sleek, lace fastened trainers are detailed with a signature embroidered crocodile logo to the outer sides, contrast suede look detail to the heel and a logo to the tongue. 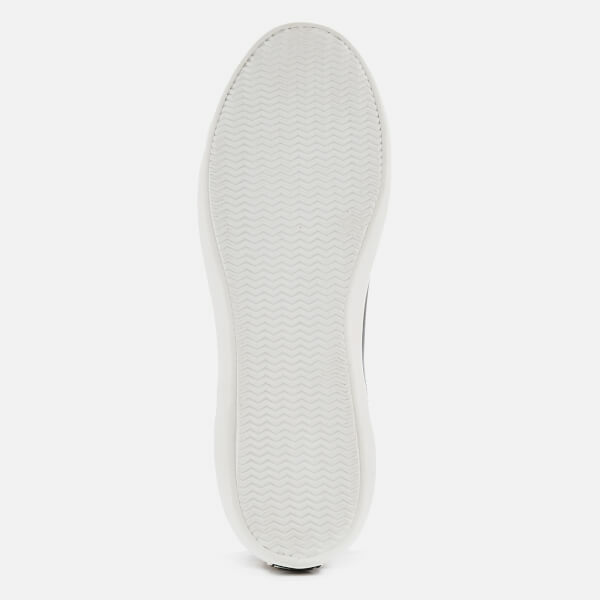 Complete with a slim white rubber outsole, a cushioned Ortholite insole for comfort and a logo licence plate on the heel.